Recent advances in human induced pluripotent stem cell (hiPSC)-derived neurons offer promise as a powerful in vitro model strategy for the study of both the basic mechanisms of development as well as complex disorders of the human nervous system. A wide array of research areas, including molecular and developmental neuroscience, drug development and neurotoxicology, employ hiPSC-derived cell models to gain functional insight into relevant neuronal networks and disease states. However, characterization and optimization of these models as they differentiate, mature, and become functionally active are limited by current techniques. The IncuCyte neuronal activity assay allows for direct, long-term measurements of synaptic activity for the characterization of neuronal cell models in physiologically relevant conditions. 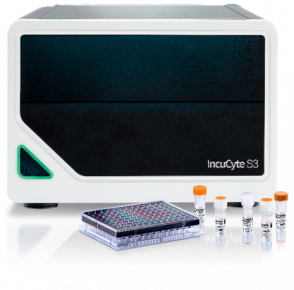 Visualize and analyze spontaneous neuronal activity for weeks or months with the IncuCyte S3 for Neuroscience, IncuCyte S3 Neuronal activity analysis software, and IncuCyte NeuroBurst Orange reagent.